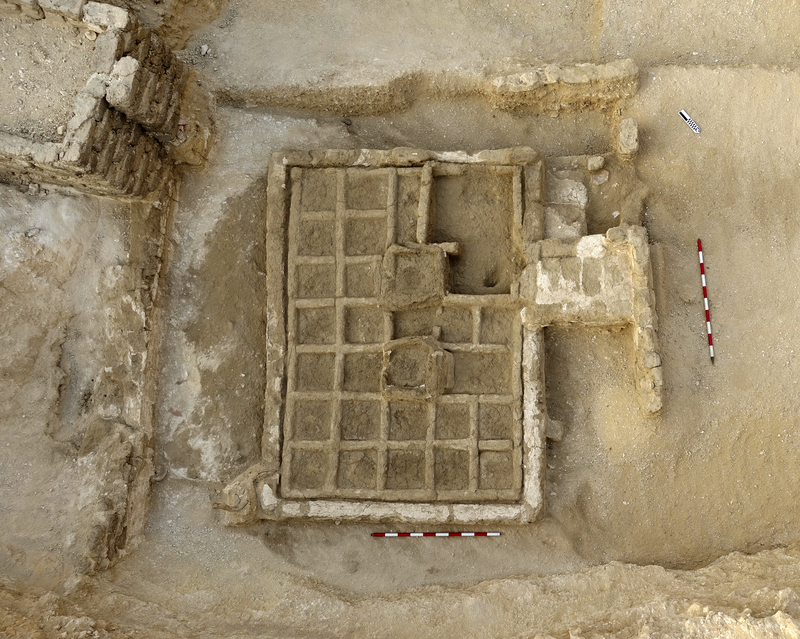 Archaeologists from the Spanish National Research Council (CSIC) have discovered the first-ever funerary garden at the entrance of a Middle Kingdom (1980-1790 B.C.) tomb on the Draa Abul Naga hill on Luxor’s west bank. 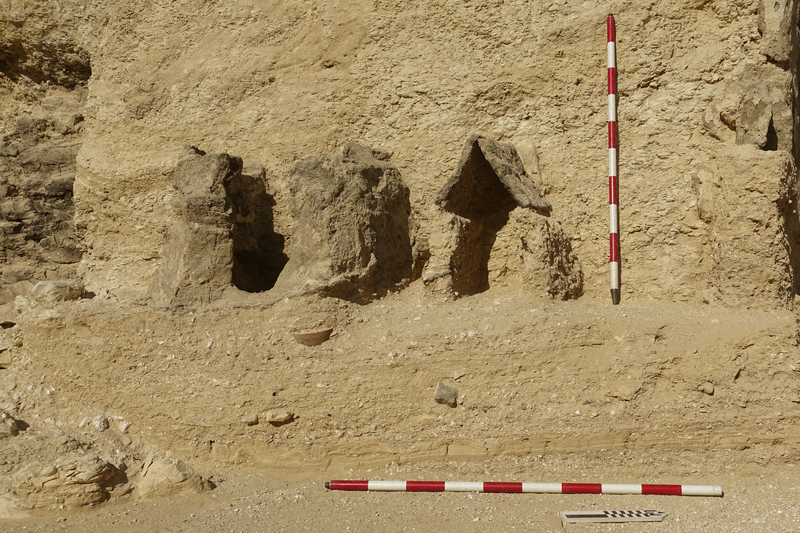 Egyptologists have known about these gardens from iconographic depictions on tomb walls and at the entrances to tombs, but this is the first time archaeological remains of a physical funerary garden have been found. The discovery of the garden and archaeobotanical analysis of its remains will confirm what Egyptologists have learned from the paintings and provide new information about plants and the environment of Middle Kingdom Thebes and the role of botany in funerary rituals. Along with the sun, the plant world was the best expression of the Egyptian idea of perpetual rebirth and resurrection. The funeral garden was found in a courtyard at the entrance to a rock-cut tomb believed to date to the Twelfth Dynasty, about 4,000 years ago. The garden is a rectangle that measures about 3×2 meters (10×6.5 feet) and is raised about a foot and a half off the ground. It is divided into a grid with rows of five or seven beds each about a foot square. Experts think each of the small beds contained different plants. In the middle of the garden are two beds slightly higher than the surrounding ones that likely contained small trees or shrubs. Thanks to the wonders of desert preservation, archaeologists found a tamarisk shrub in one corner of the garden. It was still upright with intact roots and foot-long trunk. 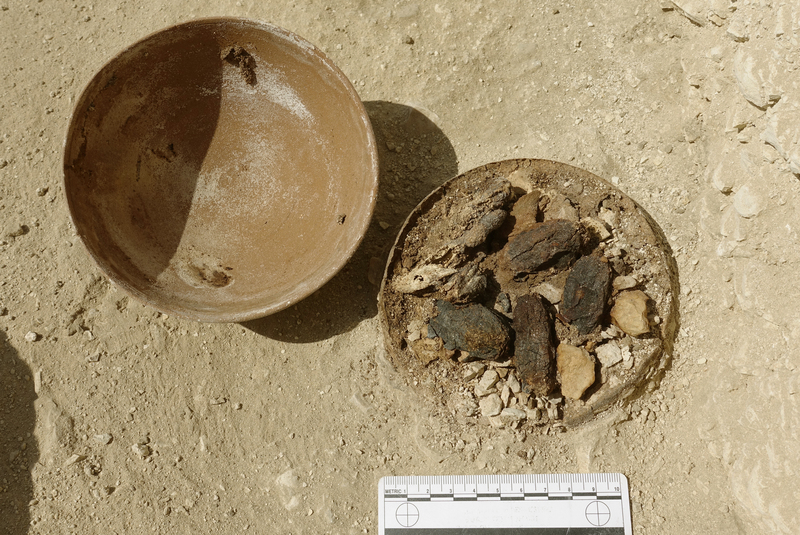 Next to it was a bowl containing the remains of dates and other fruit that was probably an offering. “The plants grown there would have had a symbolic meaning and may have played a role in funerary rituals. Therefore, the garden will also provide information about religious beliefs and practices as well as the culture and society at the time of the Twelfth Dynasty when Thebes became the capital of the unified kingdom of Upper and Lower Egypt for the first time. We know that palm, sycamore and Persea trees were associated with the deceased’s power of resurrection. Similarly, plants such as the lettuce had connotations with fertility and therefore a return to life. Now we must wait to see what plants we can identify by analysing the seeds we have collected. It is a spectacular and quite unique find which opens up multiple avenues of research”. 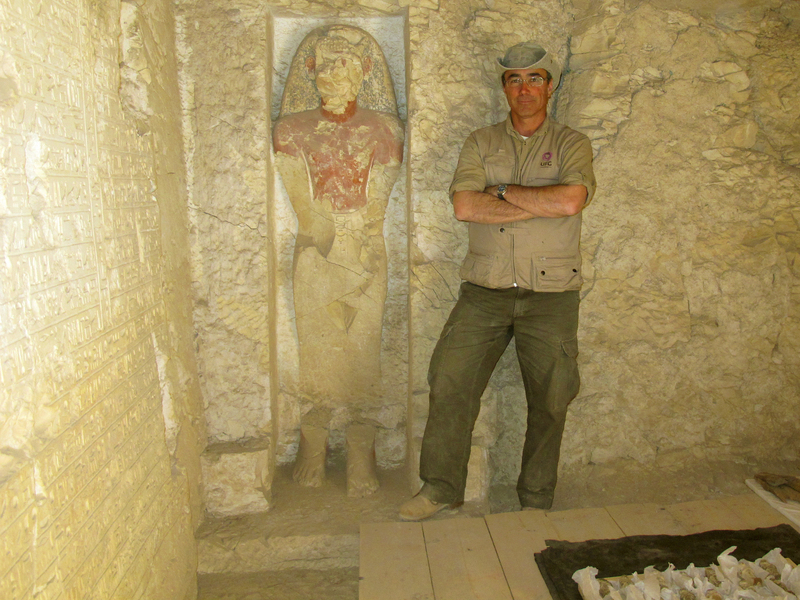 Besides the garden, the excavation team discovered a mud-brick chapel attached to the facade of the rock-cut tomb. There are three stelae on the exterior. One of them is dedicated to one Renef-seneb, another to “the soldier (“citizen”) Khememi, the son of the lady of the house, Satidenu.” The stelae also include references to a local Theban deity named Montu and the gods Ptah, Sokar and Osiris. The chapel and stelae date to the Thirteenth Dynasty (around 1800 B.C. ), so they are later than the garden and rock-cut tomb. 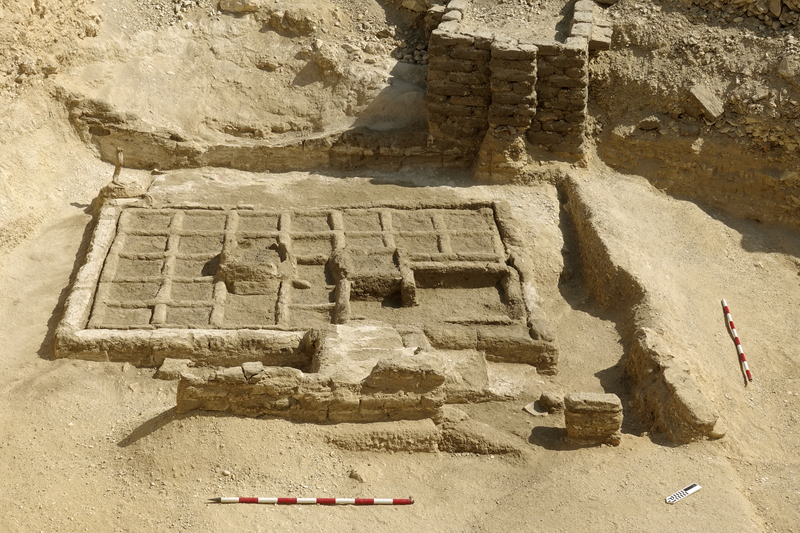 The Djehuty Project, now in its 16th dig season, is exploring that key period when ancient Thebes became the capital of unified Egypt about 4,000 years ago. This season’s discovery of the garden and the tomb and chapel underscore how important the Dra Abu el-Naga hill was during this period as a center of funerary and religious activity. 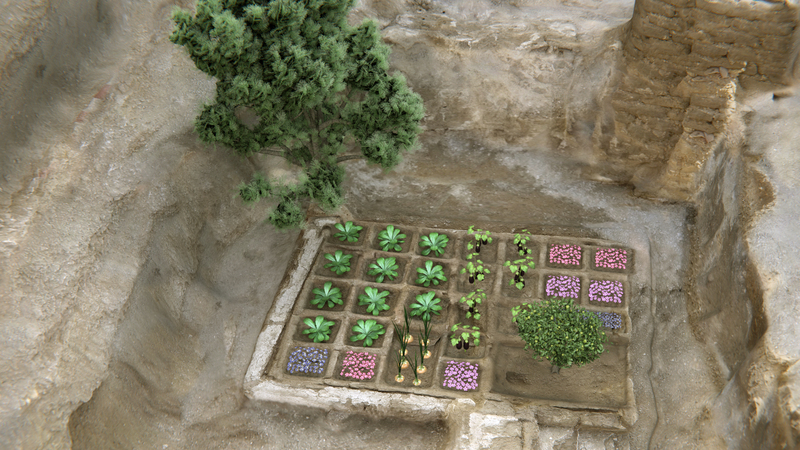 In this Spanish-language video, José Manuel Galán discusses the discovery of the funerary garden. It’s not subtitled, but the visuals speak for themselves. He starts by explaining where the garden was found and its archaeological significance. Around the 20 second mark, there are images of the garden iconography found in tombs. Overhead views of the excavated garden begin around the 30 second mark, with film of the excavation itself starting at 40 seconds. At 55 seconds, there’s an amazing scene of an archaeologist recovering seeds from one of the beds with tweezers. At 1:12 is a nifty digital reconstruction of the garden and the plants that might have grown there. At 1:54 you can see the excavation of the tamarisk trunk. Professor Galán points out in the voice-over that the tamarisk had a funerary association in Egyptian religion. The soul of the deceased would fly onto a branch of the tamarisk and perch there waiting for offerings. This entry was posted on Thursday, May 4th, 2017 at 11:07 PM	and is filed under Ancient. You can follow any responses to this entry through the RSS 2.0 feed. You can skip to the end and leave a response. Pinging is currently not allowed. The computer generated illustration of the plants in the garden have an anachronism in the the way the eggplants are shown. The older form of the egg plant had egg shaped white fruit as opposed the the large purple fruits they have been bred for in modern times. The egg like fruit would have had a more symbolic meaning of re-birth. Is the tamarisk dead, or just ‘sleeping’, I wonder? In the southwestern US the tamarisk is viewed as a problem plant as it grows along streams and soaks up all the water. 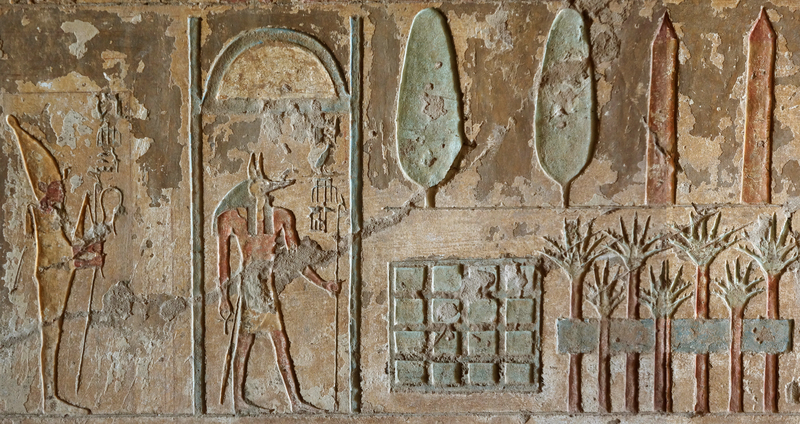 In an Egyptian funerary garden deep roots would probably be a distinct advantage to the continued life of the plant. I love this! And I had to laugh when I saw the foot-square arrangement; I used gardener Mel Bartholomew’s Square-Foot Gardening book back in the 1980s, without knowing that the square-foot idea predated it by several thousand years!